[Free]This title is an unofficial, amateur translation. This character's element is determined by the player. Inspired by one furless friend's example, this young cat takes to the skies in purrsuit of freedom. 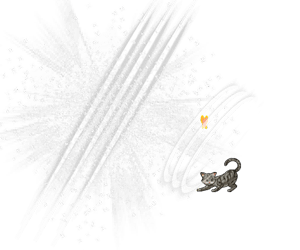 Haymaker Cat Punch 200%Small elemental damage to a foe. Restore all allies' HP (Boost to healing specs when in a better mood). Strength: 5% (Boost increases when in a better mood). Local status effect on a foe. Strength: 10% to all allies at end of turn. Young Cat's element is the same as the Main Character. 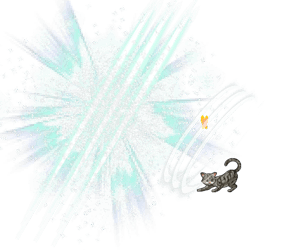 His Charge Attack's elemental damage changes accordingly. The name chosen for Young Cat does not affect his stats. 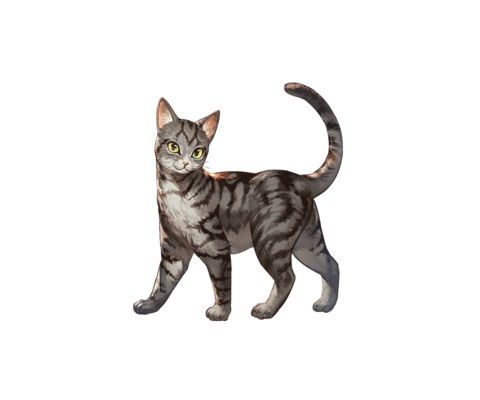 Appears under the name "Young Cat" in Lyria's field notes regardless of the name chosen. by 5% (Max: 20% total charge boost). Allies' healing skills and buff skills have a ~50% chance of improving Young Cat's mood. Only skills with a yellow or green border can improve mood. Skills with other border colors do not improve mood, even if they provide a buff or a heal. Loses only 1 stack, even when damaged multiple times in a single turn. 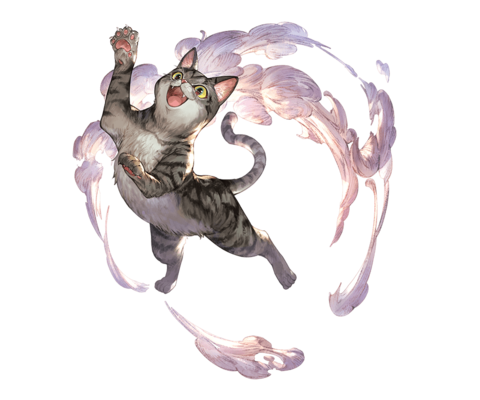 1-turn cut to skill cooldown requires Young Cat's mood to improve, and therefore cannot occur while at max stacks. Strength: 10% can activate on the same turn that a main ally is knocked out, before Young Cat switches in. This page was last modified on 13 April 2019, at 22:15.